What fun, another science at home project. This one is called GLOBE at Night, and investigates the amount of light pollution around the globe. 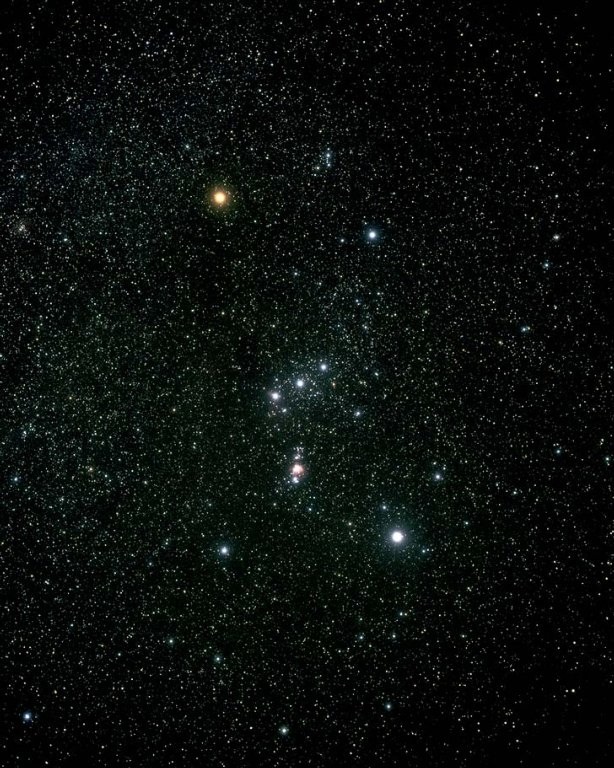 All you need to do is locate the constellation Orion and record what you see. Measurements are to be taken between March 3 -March 16, 2010. Go to the website for instructions and information packets. Even if you don't want to participate, check out the way the constellation Orion appears to us under different "magnitudes." According to the site, magnitude is how astronomers describe the brightness of an object. While you are at it, compare what you see to this view of Orion from the Hubble Telescope (Image from NASA Images). What magnitude is the view in your area?